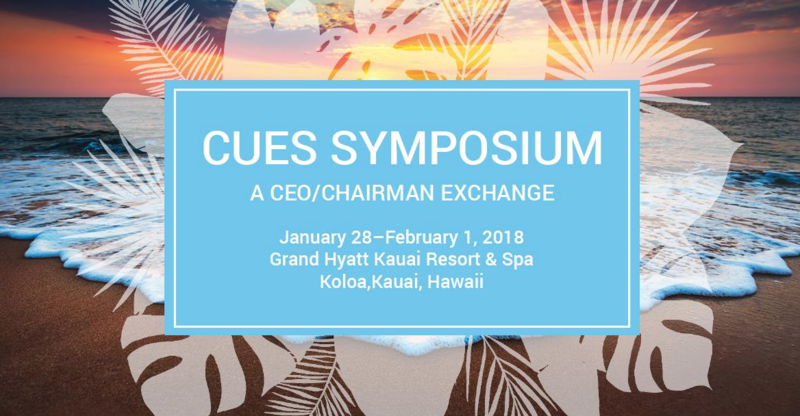 Our CUbroadcast Studio Lounge started off the year in the tropics, venturing across the Pacific Ocean to Hawaii's Garden Island of Kauai for CUES Symposium: A CEO/Chairman Exchange, January 28 - February 1, 2018. Once there, we interviewed the Symposium's expert presenters, credit union CEOs and Board Chairs, as well as industry innovators, game changers, and, of course, our fine CUES hosts. And a special thank you to our mighty fine Studio Lounge sponsor CUNA Mutual Group for supporting our conference coverage -- as well as our great hosts at CUES. As a thank you, be sure to check them out when you get a chance.